On arrival, you’ll be welcomed with chilled Champagne and a mini-bar fully stocked with your preferred drinks. You’ll also get a personal suite stewardess, ample storage, robes and slippers, and Molten Brown toiletries. 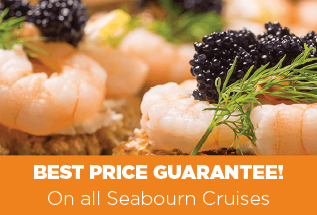 Quality food is a signature trait of Seabourn Cruise Line; the line is a member of Chaîne des Rôtisseurs, a world-renowned gastronomic society. Each ship has a choice of dining venues. None come at an additional cost and nearly all are open seating. The Grill by Thomas Keller is a highlight, serving classic American dishes with a modern twist. There is also a sushi restaurant and gourmet dining at The Restaurant. 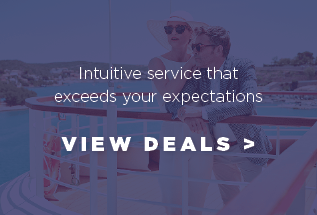 Every voyage is a journey through the extraordinary worlds of Seabourn. 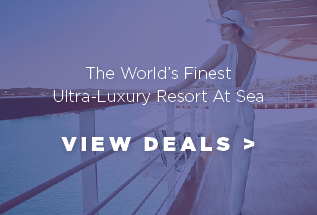 Ultra-luxurious Seabourn Cruise Line has five all-suite ships, including Seabourn Odyssey, Seabourn Sojourn, Seabourn Quest, Seabourn Encore and newest ship, Seabourn Ovation, which launched in 2018. All have a capacity for around 450-604 passengers, so the onboard atmosphere is intimate, and the service is highly personalised. 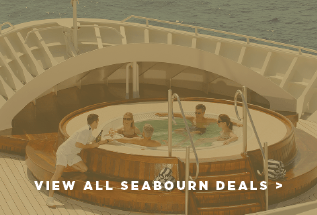 Like sister ship, Seabourn Encore, Seabourn Ovation was designed by Adam D Tihany. The ship has a modern interior, expanded public areas and all ocean-front suites.